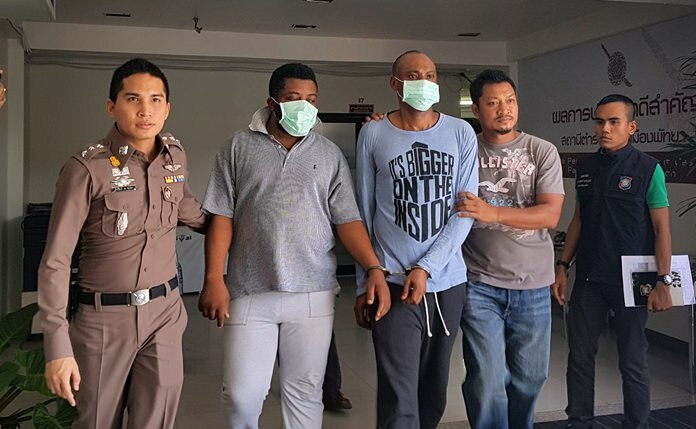 Ositadima Ibeh and Chinedu Calistus Ndubuisi are brought in to face charges of breaking Thailand’s computer crime laws. Two Nigerians have been arrested for running an online ‘Romance Scam’ on Facebook. 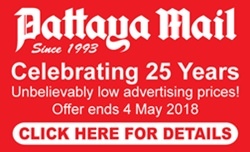 Ositadima Ibeh, 28, and Chinedu Calistus Ndubuisi, 30, were remanded in custody May 28 to face charges of breaking Thailand’s computer crime laws. The two were caught with forged letters, fake videos involving the US military and fake recorded tapes of conversations with the US military, and had several bank accounts, credit and debit cards. Police learned of the scam through one of their victims, Wilaiwan Pongkwapol. After she reported the crime, police were able to track down the perpetrators through ATM security camera footage. When arrested, the two men were in possession of over 1 million baht scammed from victims.